Proverb marketing agency in Boston reached out to me to shoot custom images for a website they were designing for Hines, a global real-estate investment firm. 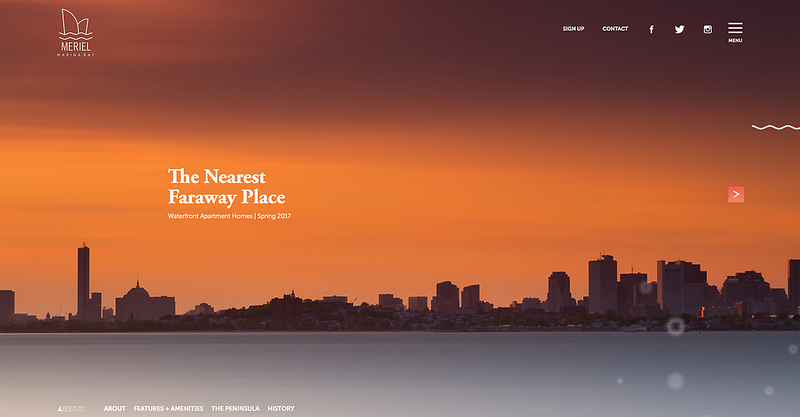 Hines wanted to capture the essence of the surrounding area for their new development Meriel in Marina Bay Quincy, Massachusetts. Once I understood what Proverb wanted to accomplish with their website design, I provided artistic direction and planned images that would highlight the best views the area had to offer under a variety of lighting conditions, while keeping the design of the website in mind. Proverb used the images as the main backdrop throughout the website, also incorporating 3d renderings and stock photography. Copyright Hines https://www.hines.com/ All Rights Reserved.